$10 before 11PM at the door only. 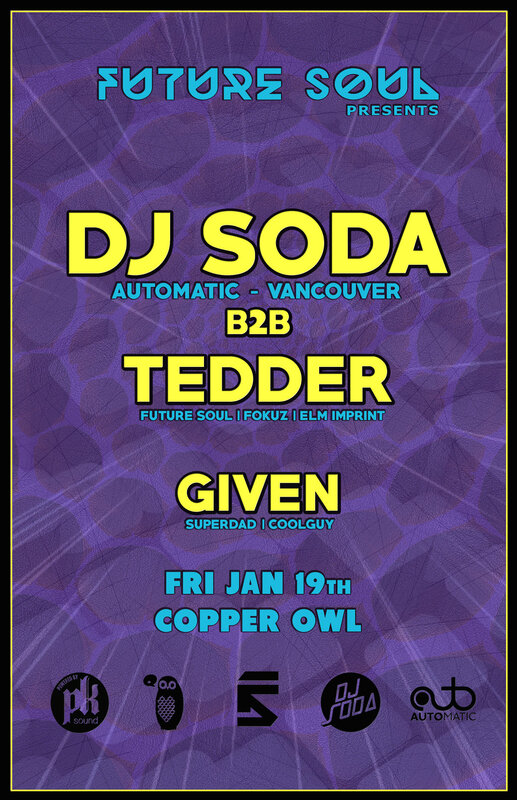 For our first show of the New Year, we've got Vancouver dnb veteran, DJ SODA, from the Automatic crew. 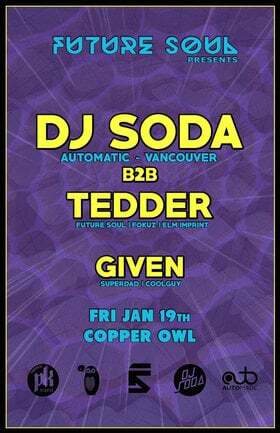 He'll go back to back with Future Soul's TEDDER. These 2 have always pushed the soulful side of dnb throughout their long DJ careers, so they'll combine forces and deep crates for a fun jam session. One of Victoria's old school liquid funkers, GIVEN will warm up the night nicely.